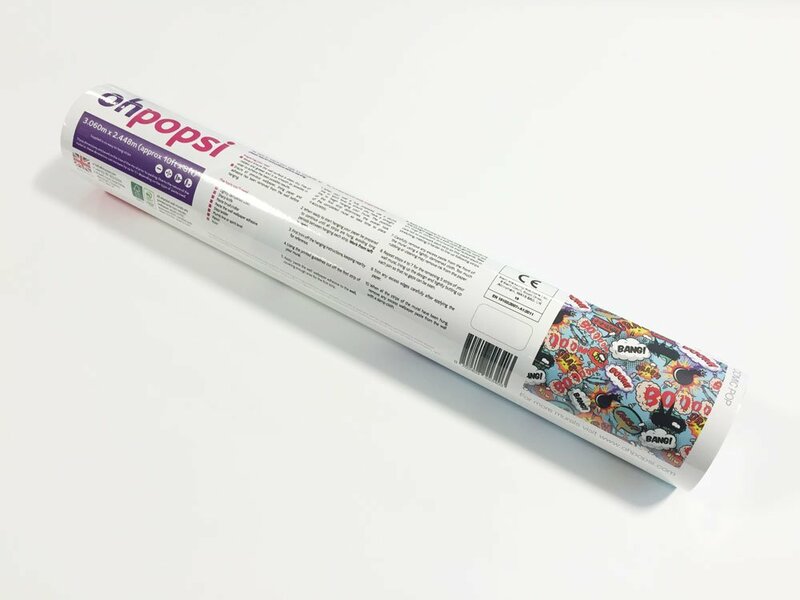 Create a stunning feature in any room of your home with the ohpopsi spaceship carpark wall mural. 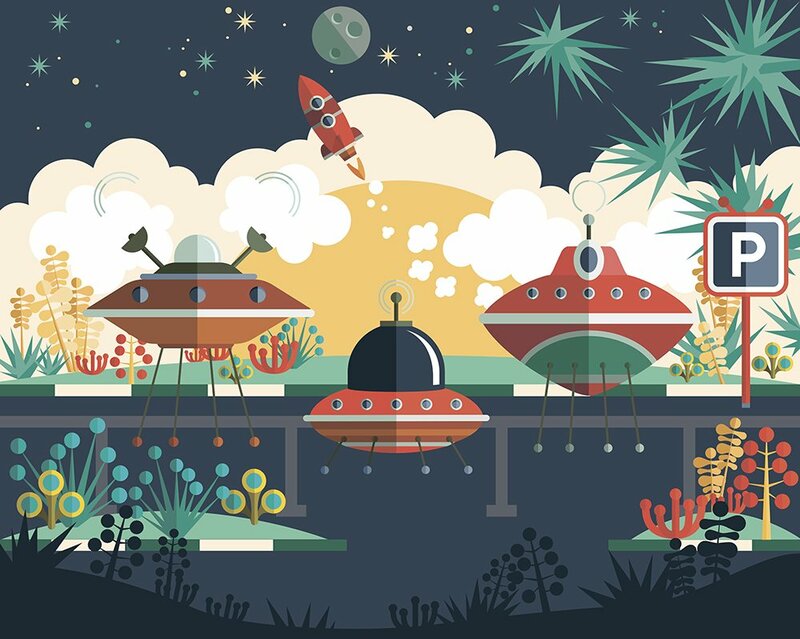 What little boy or girl, or adult for that matter, wouldn’t want this fantastic spaceship carpark mural on their wall. 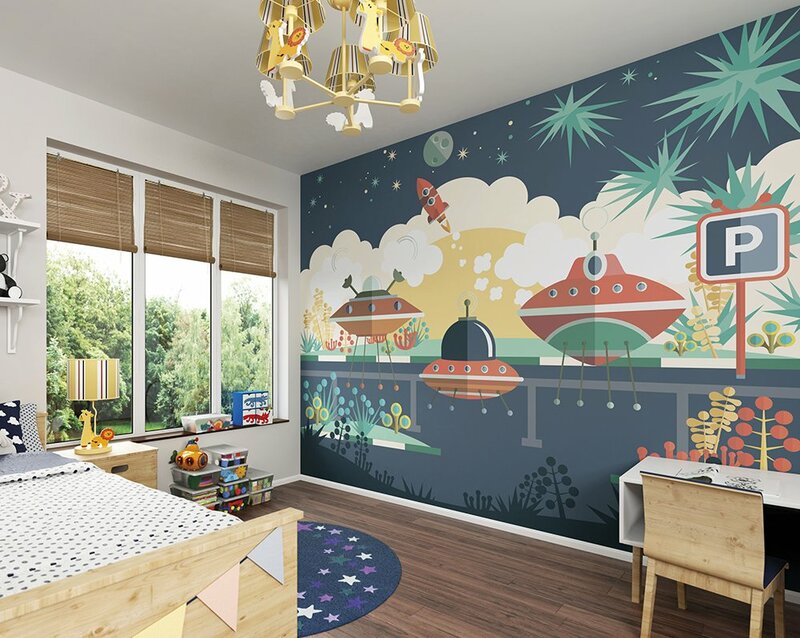 This colourful mural will fuel imagination and take them on an out of this world adventure.